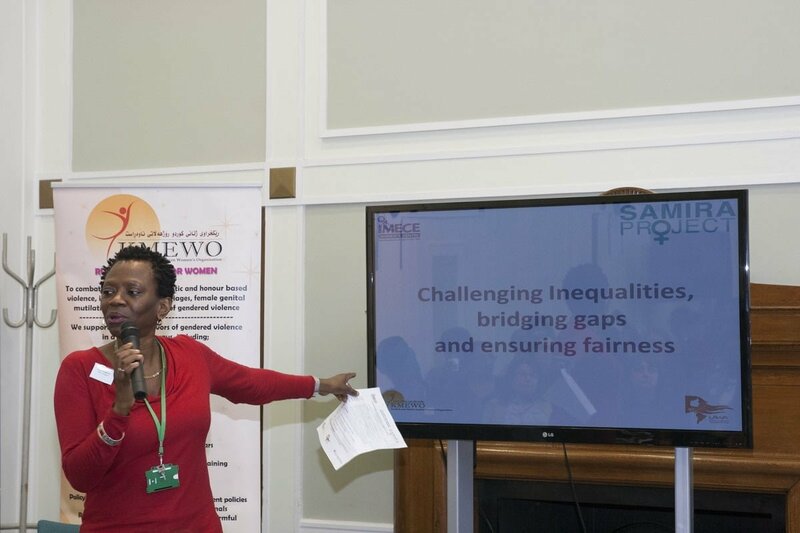 Islington BAMER Women’s Network held a conference Challenging inequalities, bridging gaps and ensuring fairness on 16th October 2015. 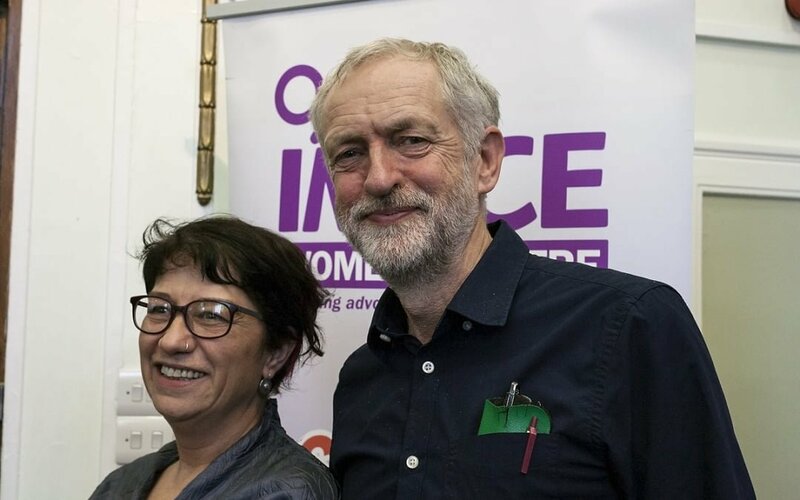 Islington BAMER Women’s Network, which was set up jointly by IMECE Women’s Centre, Latin American Women’s Aid and Kurdish and Middle Eastern Women’s Organisation, consists of local BAMER women’s organisations, statutory service providers, local policy makers and commissioners. 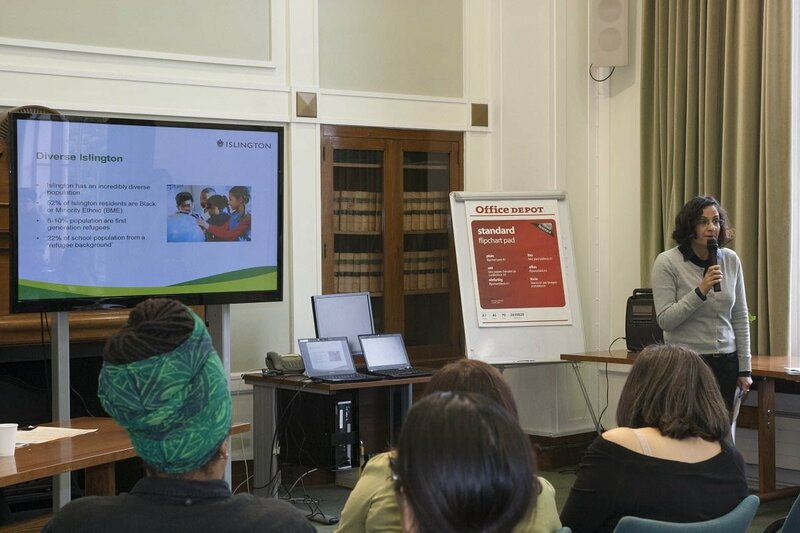 The conference aimed to enable practitioners and service providers to have an increased awareness of the elements of BAMER and women specialist services in Islington. Over 100 people signed up for the conference but due to limitation of the space we had to turn many of them down. 92 representatives from a wide range of BAMER service providers and key stakeholders took part in the conference. We gratefully acknowledge the contribution made by all our keynote speakers Jeremy Corbyn (MP and Leader of Labour Party) , Maria Larasi (MBE, Executive Director of IMKAAN) and Cllr Asima Shaikh (Executive Member for Economic and Community Engagement) and Lela Kogbara (Assistant Chief Executive, Strategy & Community Partnerships, and Islington Council) who chaired the conference. The conference gave the opportunity for participants to share their views and raise key issues through a question and answer sessions. Along with many other elements, BAMER Women’s Specialism are defined through, provision of culture and gender centred tailor-made holistic services, expertise knowledge on barriers and issues, commitment to equality and diversity and passion for empowering women from these communities. 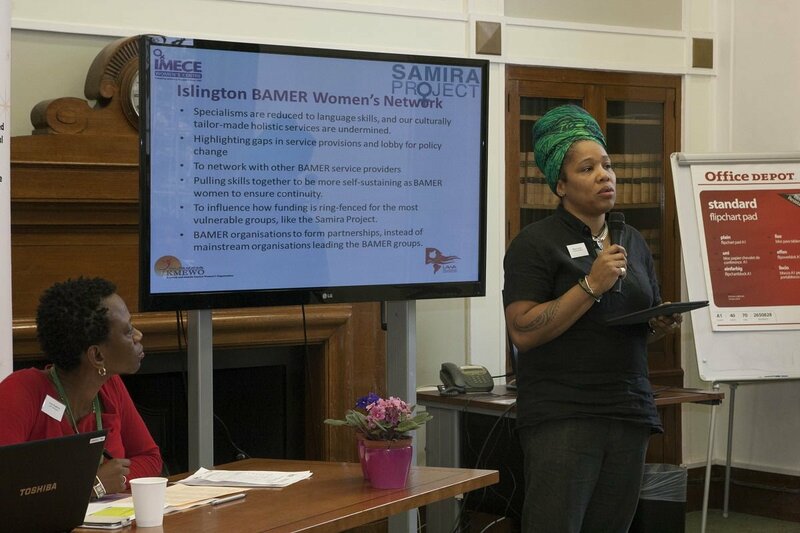 Islington BAMER Women’s Network is an important vehicle for policy influencing. We need more BAMER organisations forming partnerships, instead of mainstream organisations leading the BAMER groups. Ring-fenced funding for the most vulnerable groups like BAMER women should be a priority for funders and commissioners. The commissioning process should reinforce bidders to submit partnership projects with BAMER organisations and this should be monitored by the commissioners and local politicians. The stories of 4 women and their experience of accessing specialist services were presented through powerful performances by Emel Yilmaz, professional theatre director. Each story depicted the multi-faceted barriers experienced by BAMER women when accessing mainstream services, with the majority reporting experiences of intersectional discrimination on grounds of gender and ethnicity. The stories further the need for specialist response to the complex needs and issues experienced by BAMER women. Each case performance was followed by case presentations by specialist BAMER women’s only services: Imece Women’s Centre, Samira Project, Latin American Women’s Aid, Kurdish Middle Eastern Women’s Organisation and Latin American Women’s Rights Service. The presentations highlighted the differences in their approaches and how effective they are in terms of creating sustainable impact in comparison with the approaches used by mainstream service providers. The full conference report will be available in January 2015.